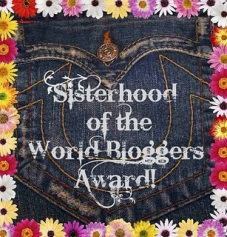 Mornings and Epilogues: Sisterhood of the World Bloggers Award! 1. What book have you reread the most? - Winter by Marissa Meyer! November 2015. I can't wait!! The Lunar Chronicles is my favourite retelling of the original fairytales, especially how its blended in with Sci-Fi. Fun! - The Rose Society by Marie Lu, which comes out in October 2015! Yay! We'll meet way more malfettos and we'll see how Adelina is holding up. My favourite genres are Fantasy and Sci-Fi. I don't mind some Contemporary Fiction, but I prefer the former two. Yep! I try to finish up the chapter, unless it's a cliffhanger, then I continue for a bit more. 1. Percy and Annabeth. How can you not love them? They're really cute together, and they work well as a team. Their conversations are also really funny to read, except for the time they fell into Tartarus together. Now that wasn't fun to read. 2. Maxon and America are awesome. They started off hating one another (more like America hating Maxon and Maxon crushing on America) but slowly developed their relationship. The love triangle was insignificant anyways. We could all see that America and Maxon would end up together. 3. Aristotle and Dante. They're polar opposites but it works out nonetheless. They're so cute! Dante is the sweet, calm one and Aristotle is the badass one. What's more to love? At times I do - especially if I'm on the bus, but sometimes I get distracted listening to the music, then realising I've read the same sentence 10 times. I try not to listen to music while reading. The prettiest book I own? Champion by Marie Lu has a really nice cover. Especially since the words are pop-up. Also, A Cold Legacy by Megan Shepherd is pretty as well. I have the hardcover version (because I had no other choice) and the dust jacket is beautiful. Plus, the pages of the book are jagged and the texture feels really old. I like reading buddies, but I haven't tried it out before. I'd love to read Winter with a reading buddy, or the Rose Society because I feel that we will be drowning in our feels after we finish. 1. Kendare Blake, who wrote Anna Dressed In Blood and Antigoddess. I've only read Antigoddess, but it's a thrilling book! Great for all those fantasy lovers out there. 2. Megan Shepherd, author of The Madman's Daughter trilogy. It's based on the darker classics, and it puts a twist on them. 3. Robyn Schneider, who wrote The Beginning of Everything and Extraordinary Means. I like the Beginning Of Everything more. She's one of my favourite Contemporary Fiction writers. 2. Which book/series do you think deserves more recognition than it gets? 3. Which character traits annoy you the most? 4. Do you read books in other languages? 5. Which character do you relate most to? 6. Which fictional world would you love to live in? 7. If you could go back in time to get the first edition copy of a book, which book would it be? 8. If you could have a magical power, what would it be? 9. You can ask your favourite author one question. What is it? 10. If there was one book you wish you could wipe from your memory, which one would it be? If you've already been nominated, I'm sorry! But if you haven't and you think this seems fun, go ahead! Awesome! Can't wait to see your answers! Your welcome! And yeah I agree, Maxon and America's relationship had so many bumps in it. But I'm glad they ended up together. Thank you for the nomination :) Percabeth is also my 1st otp! They love each other through hell (literally) and other challenges, and they still together.